RDP fails to authenticate Yubikey smart card. The requested key container does not exist on the smart card (Figure 1). Figure 1. Smart card container error. Yubikey runs as PIV smart card. Smart card has multiple authentication certificates. Certificates reside on slots 81-95. By default, Windows uses the NIST SP 800-73 PIV smart card driver. Multiple certificates require the Yubikey smart card Minidriver. Install this driver on both the client and the server. The Yubikey smart card MSI package does not install the Minidriver on remote servers or virtual machines. Nor does it provide an error. The MSI installer only works when a smart card is directly connected (e.g., workstation). To reiterate, the MSI package only updates the NIST driver when a smart card is attached to the local USB port. Instead, use the Yubikey limited INF installer on VMs or via RDP. Figure 2. How to Install the Yubikey Minidriver. Right-click on ykmd.inf. Left-click on install. That's It! Windows Server 2016 VPN server has left the front door wide open for attackers –by default! It authenticates ANY client certificate issued by ANY public CA. This problem occurs when the client certificate trust chain matches a certificate in the server’s trusted root store. For example, an attacker can authenticate with any DigiCert certificate (Figure 1). How vulnerable are these servers? I'm willing to wager that my twelve-year old son can hack it in under five minutes. This is a pants-on-fire security hole that needs to be fixed before the server hits production. Figure 1. Win IKEv2 authenticates with ALL root CAs. Yikes! N.B., Take additional precautions to secure your VPN: http://www.stevenjordan.net/2016/09/harden-rras-ikev2.html. Remove public CAs from the Trusted Root certificate store. Use PowerShell so RRAS only authenticates certificates issued from our private CA. Use Windows CA or OpenSSL CA servers, etc. DO NOT use a public CA. Remove ALL public CAs from the server’s trusted root store. Turn off automatic certificate updates. Implement additional authentication safeguards. Step 1: Only use private certificates (e.g., Windows CA) –do not use public CAs. We won’t cover the entirety of installing a CA in this article. However, it’s important to understand that the private CA root certificate resides in the Trusted Root certificate store –on both servers and clients. Start → Type MMC → File → Add → Certificates → Local Computer → OK.
• Exporting root certificates before you delete them –just to be safe. • Take a system checkpoint if applicable. Delete all other certificates in the Trusted Root Store. Step 3: Create new GPO that prevents certificate updates. → Turn Off Automatic Root Certificate Updates: Enabled. Is there a better method? Until recently, there was no way to assign specific trust chains for IKEv2 client authentication. The system was simply all or nothing. Thankfully, Microsoft now provides a solution that fixes this authentication vulnerability. We can finally configure specific root certificates for authentication purposes. N.B., This solutions assumes we’re using a private CA for authentication. Also not, that Microsoft documentation states that this method is only for site-to-site (S2S) VPNs –not true! Figure 2. Confirm IKEv2 authentication with Get-VPNAuthProtocl. The RootCertificateNameToAccept field should not be empty. If so, your sever trusts ANY client from ALL Public CAs in the Trusted Root store. Let’s fix this! WARNING: Configuration parameters will be modified after the Remote Access service is restarted. The above example uses a variable that assigns a root certificate (i.e., issuer) from our Trusted Root store. It requests a certificate that has “THWATE” in its subject. This is for demonstration purposes only. Do not use THWATE in your configuration. Figure 3. Set-VPNAuthProtocol secures our VPN. Please note, this script does not provide errors if the variable doesn't match a subject a certificate in the Trusted Root store. The Root Certificate field simply remains empty (e.g., Figure 2). Step 3: Restart the RRAS service. Consider implementing both certificate and EAP authentication. 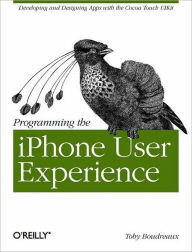 This may not be a good fit for all devices because of different types of clients. However, if every client is Windows 10 we may be better off with SSTP. Alternately, S2S VPNs can serve as a work-around for this public CA free-for-all. We can assign specific client authentication certificates to individual S2S interfaces. The system works but it creates administrative overhead. I’ll write more about this in a future article. Finally, it’s OK to implement both solutions: Remove all public CAs from the Trusted Root Store; and only authenticate clients from our private CA (i.e., PowerShell). Secure Windows 10 IKEv2 VPNs. Improve IKEv2 security strength -the easy way. Enable hidden support for advanced cryptographic algorithms on Windows clients. The default Windows implementation of IPsec is highly vulnerable to Man-in-the-Middle (MITM) attacks. It uses depreciated security algorithms and should not be trusted. DO NOT use IKEv2 or L2TP/IPsec with Windows clients unless it negotiates secure cryptographic algorithms. A simple registry change enables secure IPsec. This easy fix provides a respectable DH14-AES256-SHA256 negotiation. Alternately, use PowerShell to enable even stronger security. Both solutions provide a cryptographic baseline that ensures secure communications. 3DES? SHA1? DH2? Good thing we checked! The Internet Engineering Task Force (IETF) provides guidelines for securing IKEv2. (RFC4307 BIS-13). These standards are based on key management security strength. Do not use any cryptographic algorithm with less than 103-bits of security: http://www.stevenjordan.net/2016/09/ipsec-security-levels.html. DH Group-2 SHOULD NOT be used. SHA1 (Main-Mode) can be used. SHA256 is a better alternative. Theses tips serve as baseline security -a starting point. Create a registry key that enforces modern cipher and transform sets. Note: This security target assumes the VPN server supports DH14-AES256-SHA256. No value, or value of 0 uses client defaults -weak encryption and hash! VPN client security MUST be set to maximum strength encryption in it property settings. IPsec requires common cryptographic algorithms. Windows 2012 IPsec is every bit as insecure as Windows 10. Therefore we'll need to make adjustments to the server as well. This registry change meets the bare-minimum IETF recommendations for IKEv2. It's better than before -but we can do better. Should we trust SHA1? It's probably OK for now. On the other hand, Google Chrome and Microsoft IE no longer support certificates that use SHA1. Weak hashes (e.g., SHA1) are vulnerable to sophisticated off-line attacks In other words, an attacker can steal your identity! (Entrust 2014). We're not talking about credit scores. We're talking about digital identity and authentication. Fake RSA signatures that authenticate to the VPN, email, etc. Yikes! The Windows 10 registry fix is the path of least resistance. However, PowerShell supports a wider range of cryptography algorithms. N.B., These IPsec configurations are not available from the Windows GUI or registry. Step 1: Configure new IKEv2 VPN. Create the new VPN connection with PowerShell. Do not create the VPN connection with the GUI. However, it's OK to use the GUI to edit authentication attributes after PowerShell creates the connection . Step 2: Configure an acceptable level of cryptography. Why does Microsoft cripple IPsec VPN security by default? Is it support for legacy devices? Are there more nefarious reasons (e.g., Eric Snowden)? Does it nudge folks away from IPsec toward SSTP? If so it's as good of a reason as any! In fact, I recommend SSTP for most situations. The only problem with SSTP is that it's limited to Windows and Android clients. Direct Access is another great VPN solution (that incorporates Windows IPsec). In the end, NegotiateDH20148_AES256, is a Band-Aid for its default (i.e., broken) Windows IKEv2 VPN. It provides bare-minimum IPsec security strength that should already be enabled by default. The registry fix may not be the best option but it's quick and it's easy. On the other hand, Windows 10 supports stronger IKEv2 security strength via PowerShell commands. By default, Windows IPsec VPN is not secure -it should not be trusted. However, these VPNs can provide excellent security with a few simple changes. How to set the default location for NLA. Users do not have Internet access after connecting to wireless networks. Network Location Awareness (NLA) appears to hang on identifying network. Additionally, defining the default location is important because it directly impacts firewall rules. It’s not prudent policy to open client ports on an untrusted hotspot. 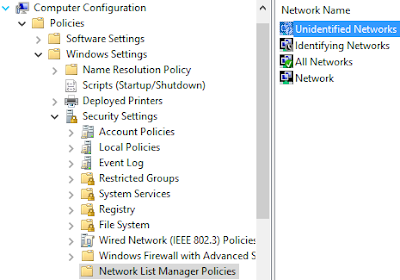 Use Group Policy to pre-define the default network location for unidentified AND identifying networks. GPO: Computer Configuration → Policies →Windows Settings → Security Settings →Network List Manager Policies → (a) Unidentified Networks and (b) Identifying Networks. Outbound: Most outbound traffic permitted. Inbound: Unsolicited SMB (e.g., file and print sharing). Outbound: Most outbound traffic permitted. No SMB traffic permitted. Inbound: No unsolicited traffic permitted. N.B., Err on the side of caution. Consider, do we really want unidentified networks to permit unsolicited traffic? The Private network location invites common SMB replay attacks that steal credentials. Further adjust client firewall rules to align with your organization’s security policies. Microsoft Office is vulnerable to memory corruption vulnerabilities. Malicious emails, sent in rich text format (RTF), can provide attackers remote code execution (RCE). In other words, RTF emails are not safe! Common vulnerability and exposure (CVE) CVE-2016-0127 impacts Office 2007, Office 2010, and Office 2013. Run Windows Updates on a regular basis. Enable Microsoft Office File Block Policy to block RTF documents.